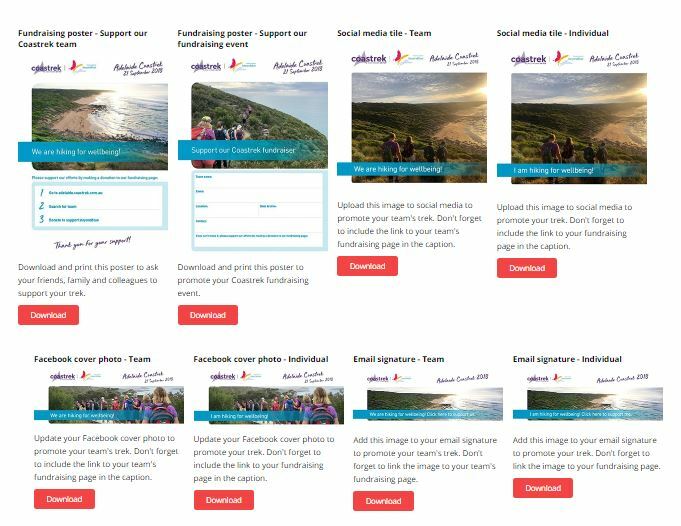 Ensure you reach your fundraising goal with these handy resources and your efforts will have a long lasting impact. To order Beyond Blue information resources and merchandise for free delivery, please visit the Beyond Blue Ordering Catalogue. 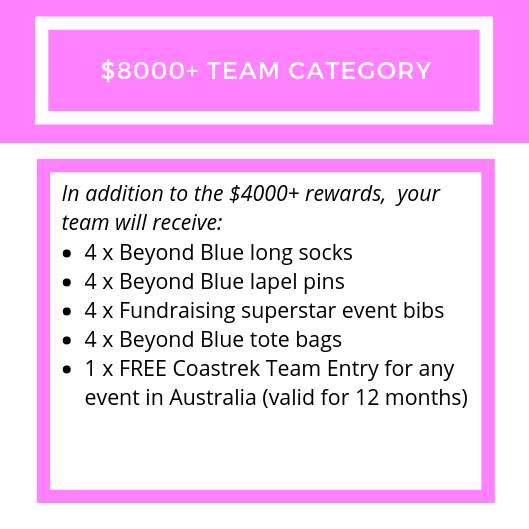 For any fundraising enquiries, please contact the Beyond Blue fundraising team on coastrek@beyondblue.org.au or 03 9810 6100. The average amount raised per team for mental health and wellbeing during Coastrek is over $3000. That's almost double what we ask you to commit when you take the challenge! Set the bar high by increasing your team fundraising goal and you will recieve these great rewards. Helping people in Australia achieve their best possible mental health. By raising funds for Beyond Blue, you are joining a community of dedicated people, that together create a lasting impact in mental health and wellbeing in Australia. Beyond Blue is an independent, not-for-profit organisation working to reduce the impact of anxiety and depression and prevent suicide in Australia, so that everyone in Australia achieves their best possible mental health. 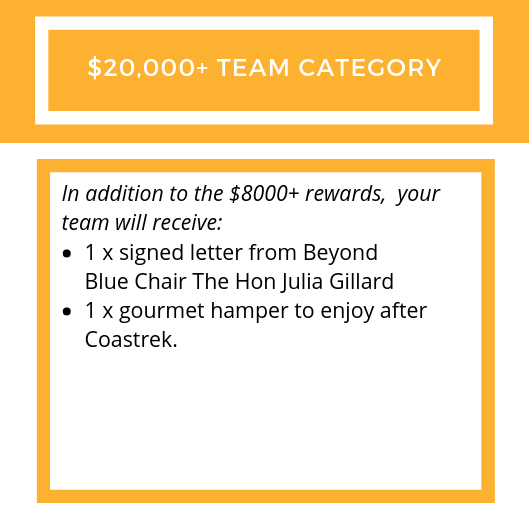 Coastrek is an opportunity for the community to connect with each other while raising funds that will help Beyond Blue deliver programs and services that make a difference in the lives of people affected by anxiety, depression and suicide. Wellbeing is both physical and mental – when the body and mind are in sync, and in a good space, you feel well and are able to protect your mental health. Coastrek adventure enables you to look after your body, get healthier and stronger, as well as learn essential tools for your mental wellbeing. 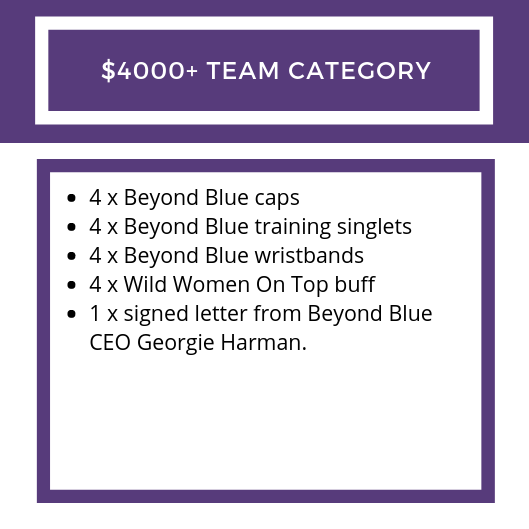 After an incredible 2018 event, Wild Women on Top is thrilled to have Beyond Blue as the charity partner for Adelaide Coastrek. 2019 Fundraising will help Beyond Blue deliver programs and services that make a difference in the lives of people affected by anxiety, depression and suicide.